What I keep exploring is how you build communities of leaders who are linked by values, not necessarily issues or specific outcomes, but who are moving in the same general direction. How do they help each other? Today, we interview Eric McNulty who has a passion for purpose-driven leadership who helps to build resilience in organizations based on adaptive capacity and trust-based cohesion. McNulty is a leader at The National Preparedness Leadership Initiative (NPLI), a joint program of the Harvard T.H. Chan School of Public Health and the Center for Public Leadership at Harvard's John F. Kennedy School of Government. More than 750 leaders in our communities from first responders to public health professionals to policy makers and NGO officials have already passed through the NPLI at Harvard since its inception post 9/11. McNulty is all about leadership for turbulent times and much of it around crisis management. This age of climate change disasters, gun violence, and terrorism, has brought with it heightened social leadership, and McNulty helps NGOs, non-profits, communities, and mission-driven organizations get organized. He was named one of Trust Across America's 2018 top thought leaders. We sat down to discuss how movements can sustain their mission and communities can prepare for what seems like never-ending mass tragedy these days given an incident an ocean away is immediately in our purview. Frankly, it can feel like a deluge of crisis in this interconnected world. So how to we navigate these turbulent times? Let’s first look young people who use social media to drive change. One could argue that we have watched social leadership institutionalize over the past few decades. Is this culture of social leadership growing more mature or is it still in nascent times? Is leadership in turbulent times about stepping into something? Exactly. Stepping into it and saying, ‘O.K., something needs to be done. How are we going to get organized? Who's going to do it? I'm not going to sit by and wait for someone else to do it, but I'm going to do something.’ It’s about exerting leadership, and I've begun to think about leadership almost as a process. For me, leadership is less focused on an individual. Rather, it's the individual in relation to others. We have to look at the various roles in which one can engage, and not only being the head of something. Of course, there is a logistical lead sometimes that's necessary if you want to organize the Women's March, for example. Whereas, if you're going to try and stop elephant poaching in Africa, you need to bring communities together with law enforcement and the NGOs where the leadership is about how you have those skills of bridging and translating between different organizational cultures and, sometimes, different social cultures. That's a different way to look at leadership. Activism these days seems very much alive with people in the street protesting and marching in America, much like the 60s. Does this current activism and its leadership differ today? I spent a good bit of time a couple of years back looking at the civil rights movement in the '60s versus the Occupy movement. I looked at why they seemed to have made much more progress in the '60s than Occupy, which had its moment but then flashed out and went away.... At the same time, I think the ramifications of Occupy are still playing out. Part of the Civil Rights movement's success was this was not a short-term engagement. It was a long-term engagement and mindset, and Doctor King talked about this in his speeches encouraging that this would go on beyond him. [And I have looked over, and I have seen the promised land. I may not get there with you. But I want you to know tonight that we, as a people, will get to the promised land!] With the Civil Rights movement, there were those who understood how to work inside the existing system as well as those outside the system, whereas, Occupy wanted to stay outside of the system. Weren’t the Vietnam protests outside the system? Those were very much outside the system, but they were very much focused on one thing: ending the war. There again, there was a focus on stopping something, of tearing something down, but not necessarily knowing what they were going to build in its place. Today the movement most interesting to look at is Black Lives Matter because they do have more of a movement mindset. They are thinking more broadly than just one narrow issue. They're trying to build something that's going to endure, and it's going to change society, and they know it's going take time. Again, we look back at the Civil Rights movement, and we tend to remember Doctor King. He got the stamp. He got the holiday, and he's obviously a vital part of everything that happened, as the orator. While he was one of the more visible people, he was part of the Big Six. Five others were also moving this forward, and there were six organizations that came together for the March on Washington and each of those played an important role. Similarly, there were twenty riders with Paul Revere, yet we only remember him. I think it comes down to our narrative tradition. We like the hero and the antihero, the protagonist and the antagonist. Over time we narrow these things down and forget all the players and try and come up with an iconic figure that can represent everything that happened. Why is it problematic having the one iconic figure and leader? Because to get things done, to create social change, to get national preparedness, to think about community resilience, one person's not going do it all. There may be people who have an outsize impact, for sure more than others, but to try and look for all of it in one person is just false hope. For example, when I talk about communities of leaders in the environmental justice movement, there are environmentalists, and their primary concern is what we're doing to the planet, and there are income equality and racial justice people whose primary focus has been those issues. They see overlap, and they come together and say, ‘OK, we can work together, and we can have greater impact because our issues overlap so much.’ What I keep exploring is how do you build communities of leaders who are linked by values, not necessarily issues or specific outcomes, but who are moving in the same general direction. How do they help each other? And I think you're going to see more of that. I think another example of this is, again, in the Black Lives Matter movement and as it expands beyond police violence, they'll engage in a broader range of issues and be looking for allies. Why? To change at the meta-system level when you're looking at, say, something like climate change or urbanization or aging populations, you have to be looking for linkages and leverage across the system. With some of those big things that are happening in the world and offering both challenges and opportunities, you have to ask how you influence things. Do you do it through direct action or indirect action? Do you do it through supporting somebody else in what they're doing? It’s a very different way of thinking about change. You need a leader as sense-maker and meaning maker and catalyst, and not necessarily the tall, handsome man or woman on the horse at the front leading the charge. When there are so many small-scale leaders working towards the same thing like climate change, immigration, urbanization, gun control, how do you get them together without making it monolithic and inert? Right. You don't want to become this massive bureaucracy, but again there will be distinctions between the groups. For example, one may want to get veterans into politics, versus women, versus whatever other group who's not been as active as they might be, and it is about sharing lessons learned. So, how do you set up a campaign organization? That's going to be consistent across the board. How do you begin to get funding? How do you get on the ballot? Are there ways to think of this in more traditional business terms where there's competition for resources and time and attention? I think that there is the emergence of pre-competitive and post-competitive spaces. If I am going to be focused on low-income Latino women getting into politics and if that's my thing, that's great. A piece of what I'm going to do is only focus on that. However, being connected to and being able to link into Barbara Lee and other leaders in this space like Emily Cherniack who are trying to do similar things is to say again, ‘how do we share the learning? How do we accelerate what we're trying to do because we can share what we've learned? When it comes to the ballot box, we're going to compete like crazy. I want my candidate to win. You want your candidate to win but, before then and maybe after then, we can be engaged in doing something together. Who are the students in the Harvard National Preparedness Leadership Initiative and how do they come to Harvard? These are largely people who have some preparedness response to crisis response. They could be in the government, outside the government, or in public health: everybody from Boston Police Department to the Secret Service to FEMA to the CDC. There is a full range of agencies in America who worry about preparing for and responding to natural disasters, terror attacks, pandemic outbreaks, and all those kind of things – they are subject matter experts. This is where I began to look and my thinking coalesces around this idea because, looking at the environmental and conservation movements, those people are also subject matter experts. Are these the people you are thinking about most in terms of developing leadership? Yes, because I think when we're facing these big complex challenges, we are looking to people with expertise in public health, or disaster response, or other specialties where most of their training is getting good at that subject. They have built a lot of technical skills. If you're in the field in environmental science, for example, you're probably getting a Ph.D. and becoming very specialized in one aspect of chimpanzee behavior or elephant migration. Yet to solve these larger issues about how do we preserve the environment, how do we respond more productively to three hurricanes in a row, we need leadership tools. With climate change, you need the people with that deep technical expertise to be able to engage other people outside of their specialty and lead. Is learning how to be the Meta leader hard for them? It can be because you do get deeply steeped in acronyms and jargon, which makes it incomprehensible to anybody outside of the bubble. If you pursue an academic path and Ph.D., you're rewarded for getting more and more specialized over time and what leading requires you to do is step back and be more of a generalist. It demands that you step back and ask, ‘How do I engage the nurses and the urban planners and the officials at the university and the elementary school teachers and the various stakeholders you need to solve the problem you're trying to address? How do I bring them in and try to create unity of effort? How do I bring them together, so they feel they're part of this?’ You are leading them forward. You're creating forward momentum toward a solution, and that can be hard for someone who's spent their career, again, getting rewarded for a very specialized set of activities. Is your goal at Harvard to have more leaders ready to step up to these widespread challenges like terrorism, climate change, and urbanization? Absolutely, and that's what we train them on because we do need them to step up and what we don't want to do is rely on natural selection. Luckily, we pick the person with the right stuff to be able to get in and talk to the media and engage the public, to reassure them or instruct them when there's an infectious disease outbreak, for example. We want the prepared leader to be trained for that, but also be thinking in a multi-stakeholder way of asking, ‘who's involved? Who do I need to engage? Who should we be connected with? One of the things you see, fortunately, less often now, in either disaster or humanitarian response is a lot of individual agencies and organizations who show up and do their thing but they don't talk to each other very much, and yet they are often serving complementary audiences. They are, sometimes, duplicating efforts. One of my colleagues who was a senior person at FEMA very much took FEMA into a support role after a tornado or an earthquake. Rather than FEMA showing up to provide meals for people when they knew that the Southern Baptists and other NGOs were going to show up who do that well is was to ask, ‘OK, how can we support them in doing what they do rather than trying to duplicate what they do?’ This is to look at the full system of leverage points and look at who can contribute what most effectively and be comfortable with saying that this time, ‘we're in a support role and that's good.’ That's how we participate in this process best where someone else is going to be more visible, and it's hard. You look on the ground at the earthquake in Haiti, or other major events, and NGOs are often working separately. First of all, they've certain specialties of what they do. They also want to be visible so they can attract funding because they get more money when they do what they do. There's not a lot of encouraging of collaboration across these organizational siloes. Today, who comes in to coordinate when a crisis hits? We're trying to get people to think about this ahead of time and prepare those networks or those communities. For example, after the Boston Marathon Bombings, the response here was the smoothest my colleagues, and I have seen anywhere. Granted it was traumatic, it was a relatively small event as these things go, but it was well run. State, local and federal people were working very well together. The public, private and nonprofit sectors were working well together, and we dove deep into that to try and understand it. What we discovered was that it was more than a decade of building trust-based relationships among those agencies and the people who were running those agencies and organizations. It went way back to the Democratic National Convention in 2004, which was the first national special security event (NSSE) after 9/11, which meant the Secret Service is technically in charge. The Secret Service is not big enough to actually run something like that. You have to coordinate a lot of local entities; state entities and they realized they really weren't very well prepared to do that. They did it well during that 2004 convention, but that took some intentional effort, and ever since, Boston has used major events as planned emergencies. How do we learn to better work together? How do we better understand each other's systems and each other's needs? What can we do to improve over time? So, then you get to April 2013 with the Marathon, and those horrible bombings and everything clicked in, and they knew how to work together. They had thought about it as a community of responders: the police department, the fire department, and the state police, the National Guard. They had thought about working together, and that's a different kind of leadership. At the NPLI, we call that "meta-leadership." It is all about that broader view and thinking about the connectivity across the system and what I'm trying to do now specifically is extend that thinking into the environmental conservation and other humanitarian NGO spaces because it's a place where it's needed, and it's a place where you can see the opportunity. I also see a real need because those are organizations that tend to put most of their dollars toward programs and services - not a lot of developing the people who have to deliver those. Who started the National Preparedness Leaderships Initiative at Harvard and why? It goes back to a gentleman named Joe Henderson who was at the CDC at the time. You may recall the anthrax attacks right after 9/11. At that point, he was running an office for preparedness response at the CDC and Congress gave him a whole lot of money. That’s what Congress did back then: they saw a problem and threw a lot of money at it, and part of what he did was give grants to twenty-five different schools of public health around the country to address different aspects of preparedness. 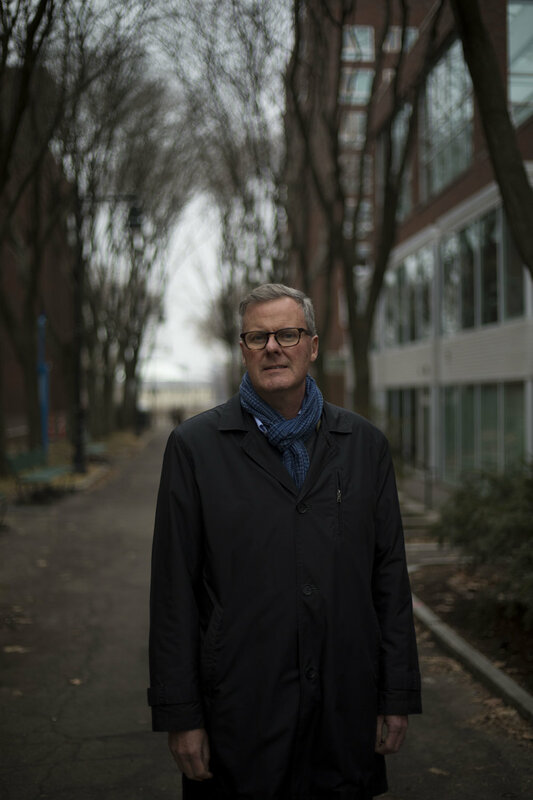 He was particularly thinking of biological – non-traditional weapons at that point – and he came to Harvard and said, ‘one of our biggest risks is leadership. If leaders don't perform well in one of these disasters or crisis like this, people die. It's a public health risk. So, will you at Harvard help us figure this out? And by the way, I want the School of Public Health to work with the Kennedy School of Government.' That in and of itself at the time was pretty novel. We're closer to one Harvard today than we were back in 2003. That’s amazing. All 750 Harvard graduates have become a national network of leaders? Would you think this would have come out of government? You know the government is still very siloed. Does there need to be a catalyst moment for social change to occur? It does. In a way, it's getting harder for it to stick because everything moves so fast now and the news cycle moves so fast. Seventeen kids were shot in Florida and it's the eighteenth school shooting this year, and I think we've all lost count of how many have happened in the last few years. That's one that is resistant to change. The philosophy I've come to by observing a lot of this is to get people to solve the problem right in front of them and build the relationships that way. You may recall five/six years ago now, a tornado came through Joplin, Missouri and devastated the town. It was horrible, and nine months later, the schools were open. The town had pulled itself back together and responded well, and people said, ‘aren't they resilient? Look at that Midwestern can-do American spirit’ and all that. Well, I was at a presentation with the superintendent of schools where he was talking about this, and he was showing us slides and talking about the kids who died and his colleagues who died and he was crying, and we were crying – 300 of us in an auditorium. Midway through that presentation, he put up one slide of the Joplin Residence Plan. I went up to him afterward, and I said, 'I want to know about that. Tell me what that was all about.' He was very gracious and gave me an hour of his time, and it turned out that a couple of years prior, they had realized that the economy was changing in Joplin and with their current high school dropout rate; their economy was going to crater. You could no longer get a good job at a factory as a high school dropout or raise a family and buy a house. Those jobs had gone away, and so they had to solve that problem. CJ Huff, the superintendent of schools, called a meeting and invited anybody from the community who wanted to come and learn about this. He said he expected a couple of dozens and they got 175 people. They put those 175 people through a multi-week program to understand what were all the causes of dropout. They asked what role nutrition played, domestic violence, and all the different factors that go into it. They wanted to understand the problem, and then they came together and made a commitment that they would meet the needs of any child who felt he or she couldn't go to school and they'd meet those needs within twenty-four hours. Did you need a pair of shoes? They'd get you a pair of shoes. If there was violence at home and you needed a place to stay, they'd get you a place to stay. Through addressing that problem, which is the one they felt most immediately right in front of them, they built the relationships. They built the infrastructure to meet the needs of those kids, and when the tornado hit, they flipped it over and why they responded so quickly and so well. Find the thing that's affecting people right now that can bring them together, build the relationships, and I think violence in communities is one of those. [Since our interview, the Parkland High School students have done precisely what McNulty recommends.] I believe BLM has done a good job of trying to build this into a movement and connecting the dots across the incidents around the country and that's one way to get it started. I think the Women's March started something as well, but perhaps it is a little harder for them to carry it forward because they were a counter protest to the inauguration, and now asking ‘what do we do next?’ You need a compelling, unifying vision or objective and then you need to have ways for people to work together, enjoy that, get some positive results from it, and then keep pushing it forward... but it does take time. We talk about the civil rights movement in the '60s, and that work is not done, and that baton's been passed. I think people like Black Lives Matter are picking it up and carrying it forward, but they won't finish it. They'll hand it off to somebody else. For young people in social leadership today, what advice do you have for them? I think they have to think of themselves as leaders and own their leadership development. You are not going to get it from an organization. If you went to a mission-driven organization, they probably haven't the budget or time to do a lot of development for you. If you go into a corporate setting, they're going to want to develop you to the standards that they have for what their primary business is. Part of what I've been playing with now is something that's very inexpensive – lightly guided self-development through keeping a journal and asking yourself ritual questions: When did I feel strong today? When did I feel weak or vulnerable? How can you learn about yourself? And I think to me the most important thing is not looking at soft skills or hard skills so much but looking at the inner skills. Look at those intra-personal skills of curiosity, reflection, and resilience. Those are going to help you understand why it is you're drawn to a different purpose. Why do you want to do this work that you now see as more fulfilling as opposed to your parents who wanted a stable job that pays the bills and provides some health insurance and made whatever they made, and didn't care so much? I think it is about developing that inner strength and that ability to stay curious and continually learning about yourself and how you're connected to the world around you and what difference do you want to make. There are so many non-profits and social leadership projects out there and needing funding today. How does it all come together rather than as disparate individual attempts? I think it's trying to connect and this is, I think, partly the output coming after the startup generation. These are the kids of the startup generation from the first tech boom of who only know: ‘I see a problem; therefore I start… be it an NGO or a social enterprise or a traditional for-profit company. The mantra is, ‘I start something to fix it.’ That's great in a way, but again if you're looking at these larger problems, I think it is about ‘whom else can you connect with?’ And maybe you are going to start your organization but how are you connected to other organizations that you could leverage and how could they leverage you to get more done? You have a personal passion you want to fix as well. Can you share it with us? Urbanization and elephant conservation. It's called The Elephant Wisdom Project. I founded the Elephant Wisdom Project where I'm looking at holistic approaches to elephant conservation. By holistic, I mean you're looking at species preservation, habitat conservation, but also sustainable community development because elephants and human beings have to live together if either's going to thrive. The reason I like elephants, besides the fact that they are big and cuddly, is that they're a keystone species and what that means is that if you take the elephants out of their African environment, the entire ecosystem collapses because it's dependent upon elephants knocking down and eating acacia trees. Certain species depend on the water that gets caught in their footprints when they walk across the ground. Even the weight of their legs as they tamp down the ground helps those watering holes to hold water long after rain. All these interdependencies cascade out. I think elephants give you a great way to have some psychological distance to see the impact and the interdependencies between species and different elements of an ecosystem. If we can't have a world where elephants thrive, humans won't thrive here much longer either. We can't think of ourselves as separate from the larger system and, 'it doesn't matter what happens, we'll always survive.' Well, actually no we won't. It may not be the elephants. It may be bees. It may be some other species. We don't know where the tipping points are or where the other lynchpins are that can really send this thing cascading in a very bad way. Given this, what is your advice for how we prepare for the massive shifts around us today? A few years back, I was with my colleagues invited down to brief the National Resilience Policy Director at the White House. One of our recommendations to them, which they roundly rejected but one for which I still advocate, was to have more block parties. One of the best ways to be prepared is to know your neighbors and have them know you so you can help each other out. I keep coming back to that word ‘community.’ If your block, your neighborhood, your city, your town is hit with something traumatic, whatever it happens to be, if you're there for each other, you'll be more resilient. You will endure, and it is not about waiting for the government to do it, not waiting for Google X to do something, it is not the paternalistic model. It is, ‘Hey, I can help you, and you can help me, and we help take care of each other,’ and that community spirit goes way back in this country. I think we need to rejuvenate it and particularly those of us who live in urban settings, where stereotypically we don't know our neighbors. There is less snow these days, but in my neighborhood, we have a blizzard club. Whenever the big snowstorm hits, somebody volunteers to host dinner. We all shovel and then we go over there and eat dinner and drink wine and that's a group of eight or ten families who get together on those occasions. So my advice to being prepared – know your neighbors. A lot of this is very basic. When you see the change you think needs to happen in the world, do something about it. Find other people who care about it and jump in because that's really how social change happens and it will happen because we want it to happen. We have to focus on it and not get distracted.